Take a sneak peak into Diane's bedroom, which she has re-designed using painterly brush strokes. 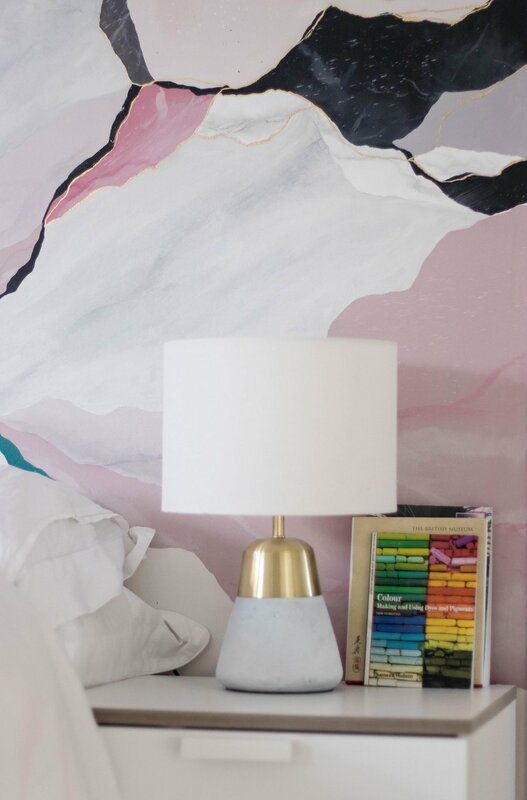 The bedhead feature wall is an abstract interpretation of a beautiful mountain scape, with layers created using marble paint effects and specialist paint finishes. Diane has also created an elegant backdrop to her alcove shelving, using gold leaf and a soft brushed paint effect to add interest. Diane's bedroom has been hailed as a truly innovative design scheme and has now been featured by Design*Sponge and Topology London. Click to visit these blog posts.